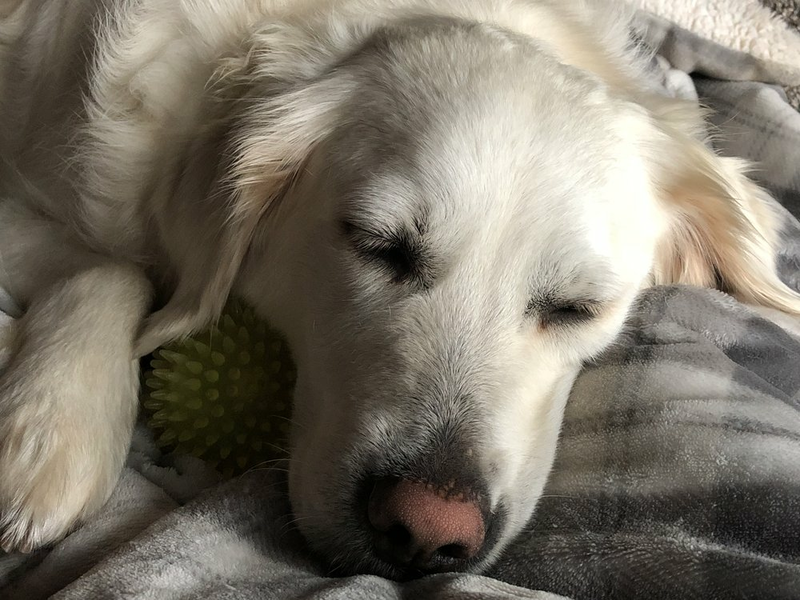 Lily is a four year old English Cream Golden Retriever with a super sweet disposition. Lily was kenneled the first three years of her life. The last year or so she has learned to live in a family home but is still very timid and slow to warm up to new people. Lily is slowly getting acclimated to her foster home. She has two other golden girl friends and she enjoys just hanging out with them. Lily is such a sweetheart and there is not an aggressive bone in her body. She LOVES balls of any kind and doesn't know when to stop playing fetch. Lily had a vet visit on Monday and was found to have an ear infection in both ears. She also had blood-work done in prep for her spay surgery next Thursday. The Vet recommended a full thyroid panel because Lily has some symptoms of hypothyroidism. The results for the thyroid panel will be back in about 10 days. The vet also suggested that Lily lose about 5-8 lbs. Watch for more updates in the days to come.